Test Track 2 is biased towards driver training in a natural environment. – One manoeuvre court for synthetic training using traffic cones. ABS-braking, brake-turn-brake and double lane change are typical tests performed here. – One track where driver training are made possible and repeatable with a high repeat frequency. With limit cornering speeds in the range of 60 to 90 km/h, the driver training is very safe in all sections. Inside the full track loop, a network of roads and a roundabout interconnects the loop in a strategic way. Due to the modular lap length and sectors, repeat tests can be made within a very short timeframe. Test Track 2 is run and operated by Arlandastad Holding (owner of DRIVELAB Stockholm). 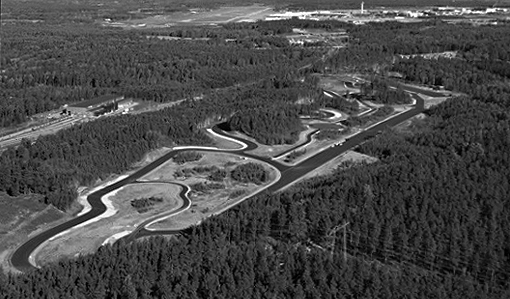 The track is regularly used by the Swedish Police and SMC for educational purposes. KTH Transport LABS and Elways regularly uses the tracks for R&D purposes. We have also hosted numerous of events run by different companies. 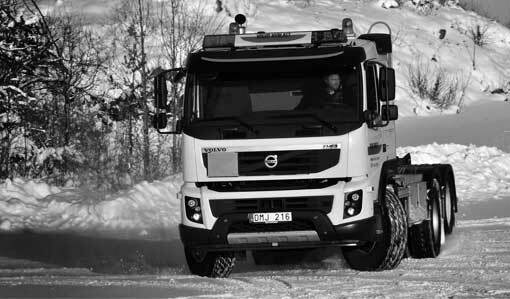 If you are interested in renting our Test Track or establishing your company in this interesting environment – please contact Johan Lundberg at Arlandastad Holding 070-1437773. Illuminated manoeuvre court covering 6075 square meters for synthetic driver training using traffic cones. Consist of several functions; Flat surface (180 x 27 meters), Slope surface at 6,4% (45×27 metres). The manoeuvre court has a lateral slope of 2,2% to evacuate water. Driver training such as ABS-braking, brake-turn-brake and double lane change are typical tests performed here. The northern part of Test Track 2 consists of corners for visualising the driving line. All corners have a clear and predictable centre line and are possible to overview from corner entry. But the optimum line differs a lot from the centre line in most corners and requires the driver to visualise the optimum line and follow the visualisation. The middle part of Test Track 2 consists of the wide part of the straight line as well as the two difficult left-right hand combinations on the back side. The straight line can be used for training that requires a track width of 20 meters, for example obstacle avoidance at high speed. The left-right combinations are designed to give a hidden second apex and exit, at the same time changing corner radius to opening or closing depending on direction of travel. Here it is common to practice safety line for emergency drivers rather than optimum line driving. The southern part of Test Track 2 consists of the basic elements of driving a vehicle on the limit of its capability. Driving clockwise, an opening corner leading onto the straight, followed by late and hard braking. The area straight ahead of the braking zone is packed gravel to give a driveable surface after missed braking points. Next is a combination with constant radii to give time to balance the vehicle at the limit. A fast chicane to practice apexing and another hard braking into the opening starting curve concludes the short lap.